Congrats to Billy - you will be sorely missed. Good luck at the next level and thanks for keeping the Slobs intact this year. Make your last game the best game all season. Price putting his name with the greats that have played at OSU is well deserved. He’s been a rock on the SLOB line for so long. He will be missed and whomever takes on his position and leadership will have large shoes to fill. Much love to this slob of slobs. I’m curious to where he’ll end up playing in the NFL, guard or center? Not sure but the fact he can play both will bode well for whatever team chooses him. What's round on the ends and high in the middle? Tell me if you know! So an article about my Lions draft needs...would love for him to shore up the center or LG position next to Decker for the next 10 years. 2014 had 2 Rimington Trophy winners on the interior and a 1st Round Draft pick at LT. Very decorated OL!!! All these awards for this great slob and he is the one of the most humble person you will ever meet. Very well deserving of a fine man and a class act for the university and the football program. Give them hell in the NFL!! Dude has been a rock, and definitely deserves his place at the table among other Buckeye oline greats. One more for the road, 54. I posted in an earlier article on Billy this year, is he the greatest buckeye from Youngstown in OSU history? Figured Y-town people would have a beat on that. Congrats to Mr. Price. Wes Fesler was from Youngstown. But other than that, he's probably the one. If you want to include Warren since it's the same metro area, you can throw Paul Warfield into the mix. Maria Taylor is SMOKIN'!! She played volleyball and basketball in college, and played on the US Olympic VB team. On a scale of 1 to 10, she is an 11! Congrats on an awesome Buckeye career! Go out in style and get that W in Texas!! Ran into papa Price at the B1G championship game, told him it's been great watching his son dominate on the OL, but what really sets him apart is his leadership and the class act he is off the field. Will be sorely missed, BIG shoes to fill!! Thanks Billy for all you've done and your hard work at The Ohio State University! Run the ball over TTUN until fubar! Who was there outside of Price, Bosa, Elliot and Barrett.... and Apple, Bell, Conley, Lewis and Lee... and Baugh, Marshall, Sprinkle and Worley... and Wilson, Smith and Hill... and Johnston who signed later? Didn't Price come in as a defensive lineman? That's correct. He's not the first DL in Meyer's tenure to switch to OL, but definitely the most successful. He came in as a D-lineman but he did play 2-3 years at left tackle at Austintown Fitch. He was first team all state at offensive tackle also. Moved to D-line at the request of his recruiter I believe. Great Buckeye. And a really amazing run we have had with great, NFL caliber o-line guys. Billy will probably be starting in the NFL at center next year like those that recently preceded him. I won't ever have a bad thing to say about Billy Price. I just wish he had about 10 brothers built the exact same with scarlet and gray pumping through their veins! Great young man with a ridiculously bright future! DBU? LBU? You can keep those. The Ohio State University is 9unitsU. Congrats on the large number of awards Mr Price. As has been said multiple times, you will be missed. May you have just as good a future! Beat that tow (team out west) to put the icing on the fabulous career. Man, what will the aftermath look like when he pulls next season and collides with Mr. Bosa? "Adequately achieving on 40% brawn, 40% Bourbon, and 20% good looks, is over achieving." price is the real thing. only downside for us is he's a senior and will move on to nfl greatness next year. good luck and stay healthy, billy. If he is any less than a second round pick I will eat my own hat. He had his detractors (here at 11W) over the years because, well, he wasn't always perfect, and that must be what some people expect. I just see a great Buckeye deserving of the accolades. Well done! Well-deserved recognition of his talent from a source outside our village. Congratulations, Mr. Price. 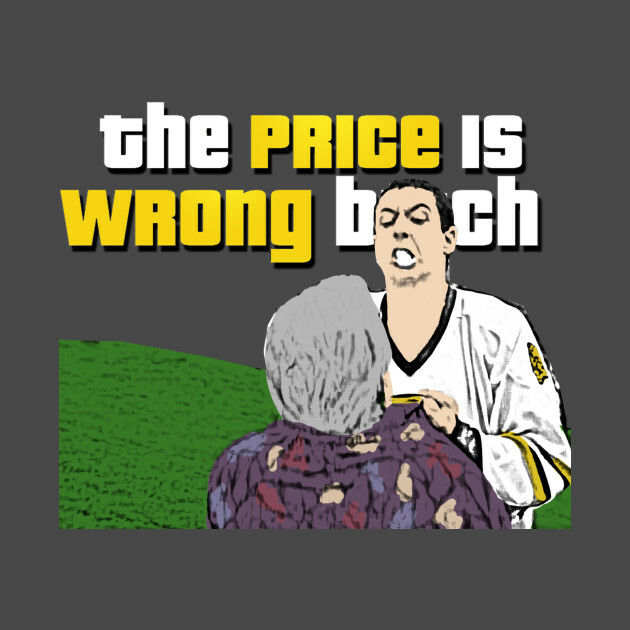 I guess we can say the Price is right!!! What we can't do in the air we'll do on the ground. As a former offensive lineman, well deserved. Enjoyed the piece Fox did with Billy before the Big Ten game. Good luck in the NFL! Very well deserved, to think he came in as a DL... Who's next in the ytown pipeline of linemen, J Simon was there before. It's going to be absolutely mesmerizing the way Billy Price and the Slob are going to open up the running lanes for Mike Weber and JK Dobbins! I think "The Slobs" is best reserved or Taylor Decker and the 2014 OL. It was a fun think and it hasn't seemed to have stood the test. We are really going to miss price next year, huge shoes to fill. Talk about starting elite strong and going from there, wow. Orlando Pace is the greatest OLineman of all time but Mr. Price is definitely on the buckeye OL Mount Rushmore for sure! There are three no-brainer players on the OSU offensive line Mt. Rushmore. The fourth spot is a much more difficult debate and Price belongs in the conversation for sure. 49-6 sounds like a great four-year record, Billy! Go lead the Buckeyes to a win against USC and finish off your great career the right way. Go Bucks!